The Battle of Britain was one of the largest aerial battles of WWII, lasting from July 9 of 1940 to May of 1941. During the battle the Royal Air Force stood against the might of the German Luftwaffe, defeating its attempts to destroy the RAF, gain air superiority, attack British industrial and military targets, and demoralise the population. All these were intended to either force Britain to sue for peace, or to open the way for Operation Sea Lion, the German codename for the invasion of the British Isles. In order to make any of these goals possible, the Luftwaffe needed to gain air superiority. 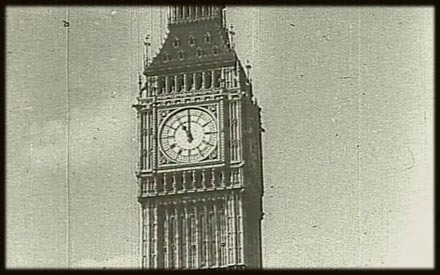 According to some historians, the battle lasted from July 9 to October 31 of 1940, the timeframe when the most intense attacks on Britain took place. Others believe that the battle ended in May of 1941, when most Luftwaffe units in the area were transferred to prepare for Operation Barbarossa, the invasion of the Soviet Union. Either way, Luftwaffe activity over Britain greatly decreased by December of 1940, in part due to poor weather. The failure of German plans in the air over Britain directly influenced the decision to cancel the invasion, and is considered the first major failure of the Third Reich in WWII. However, Operation Sea Lion was perhaps never a viable option in the first place, due to lack of German landing craft, low supplies for invasion troops, and the near impossibility of withstanding the full brunt of the Royal Navy in the narrow English Channel. Perhaps the invasion was most useful as a threat to frighten Britain into peace, although that was not a gamble the British were willing to take. In the late stages of the Battle another Axis country was to join the German efforts, when a small contingent of the Italian Air Force, Corpo Aereo Italiano, participated in combat. The Battle of Britain was the first battle in history that was largely decided in the air, with no fighting on the ground. This was also the first test of a strategic bombing doctrine developed after WWI. Germany did not possess strategic bombers and was incapable of reaching a large portion of British territory. Some airfields and many industrial targets were therefore not in any danger throughout the conflict. The strategic battle was therefore lost by Germany before it even began. The Luftwaffe's only hope was to go for psychological effect and cause the breakdown of British morale. However, the bombing of civilian targets actually had the opposite effect.